When I was first starting teaching I would hear from older teachers to just spend the first two weeks of school working on procedures and expectations. The assumption was that at the end of those two weeks you had sufficiently drilled your students with those procedures and expectations and that everything would fall into place. It used to be common knowledge that it took 21 days to form a habit but that was based on a surgeons observations from the 1950s and further research shows that to be incorrect. 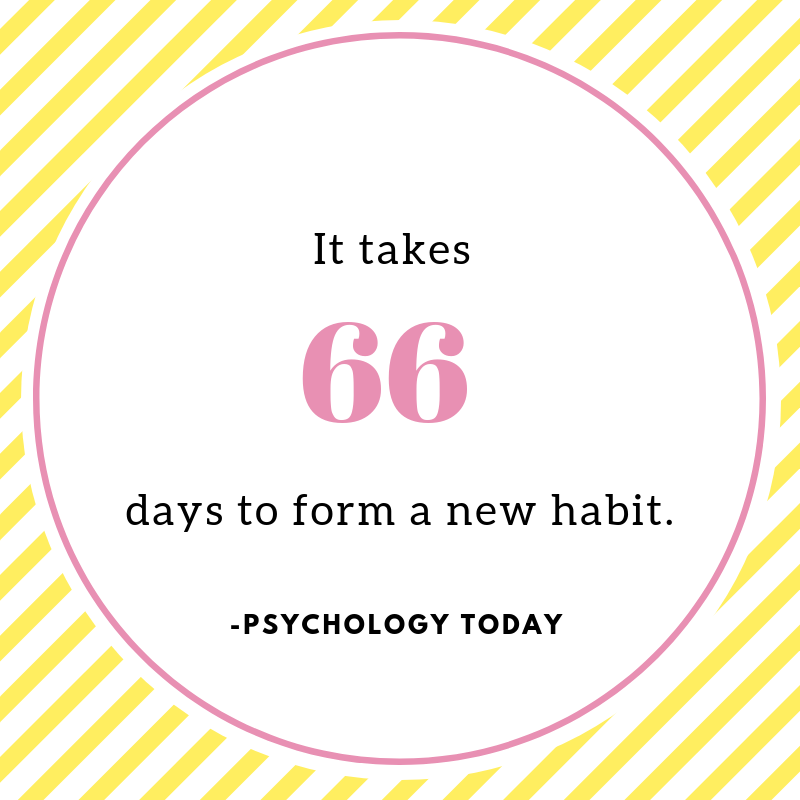 New research shows that it actually takes about 66 days to form a new habit. Some people take a little longer and others are able to form those habits a bit sooner but for most the average is 66 days. That comes out to 13 weeks in school before those new habits are formed. All those expectations you were hoping your students would grasp in those first few weeks will take much longer. I put into my mind every year that it would take the first nine weeks of school to really get my students into the groove. I also decided I don't want my kids to just behave. My goal is for them to be able to run the classroom. If my students know the expectations and the schedule for the day then there is less anxiety. If my students know exactly what they should be doing and working on next then I don't have to worry. Even your youngest students will love taking ownership of their day. I found that after 9 weeks of working hard as a TEAM and using gentle reminders for what activity comes next, what happens later in the day, etc. that my classroom had very few behavioral issues. If a problem arose I would ASK my students what we could do to solve the problem. When they were able to be part of finding the solution it made all the difference! The rest of the school year we were able to focus on learning and doing fun things because we'd already put in the work to create a well-oiled machine in our classroom. Substitutes loved subbing in my classroom because my students knew exactly what the expectations were regardless of whether I was there or not. It's just mid-September so you're only a few weeks into your school year! Keep up the great work!